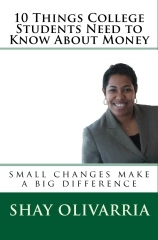 As you know, I’ve partnered with Shalena Diva to provide financial education tips to her audience. Many of us have seen the photos of 50 Cent after he lost all that weight for a new role, but how many of us thought about the financial lessons that we could learn from it? There are 3 lessons to be learned from 50’s weight loss and I share them in this week’s video for Shalena Divas’s site. I had a great time speaking at the financial empowerment event for Become N.E.W. yesterday and apparently they had a great time as well. Shay, you did an excellent job. Your presentation was lively, informative, and funny! You have great energy and it comes through in your work. I would love to get a copy of your power point presentation. Please keep in touch cuz a sister gotta stay on course! Shay, you are amazing! Thank you sooo much for coming out and truly blessing us with valuable, life-altering information. You are a blessing and a gift from God. I appreciate you and look forward to working with you again in the future. Continue this walk of being a valuable resource in the lives of God’s people. …You were VERY organized and your presentation well delivered and thought out.. this is certainly only just the beginning for you.. good journey :).. God bless. Speaker and author Shay Olivarria offers her first cruise Feb. 2011. Prices start at $98 per night. Only $50 reserves your spot. February 11 – 17, 2011 I may be cruising the Caribbean with you on Carnival Cruise Line. 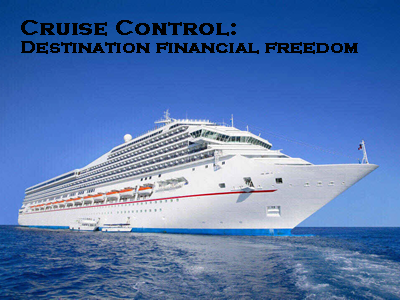 I’m thrilled to offer my first cruise & learn, Cruise Control: Destination Financial Freedom, this spring. We’ll leave from Miami, Fl on Saturday, February 11th heading to Ocho Rios, Jamaica. We’ll have a fun day at sea on Sunday when the lecture series will begin. Monday we dock in Ocho Rios and Tuesday we dock in Grand Cayman. Wednesday we’ll have another fun day at sea and another lecture. We’ll pull back into Miami on Thursday. You’ll be a little more than and a little more wise. Prices start at only $98 a night and a $50 deposit holds your spot. Natalie Neat over at Sand 2 Sea Cruising will be handling all the details. Give her a call at (949) 544-1991 if you have any questions. All attendees will get a 5 night cruise, a copy of Money Matters: The Get It Done in 1 Minute Workbook, the lecture series, a souvenir book, a swag bag, and all taxes and fees. Register now. My work deals with translating financial education jargon into simple terms that we can all use in our everyday lives and coaching you toward feeling confident enough to make choices. Many people know they want to have more money or manage their money better, but they aren’t sure where to begin or whom to speak with. Many people have fears about authority figures or emotional baggage around money. Basically, I make learning money management fun! Mail registration form and make $50 non-refundable deposit to hold your spot. Do you know how your financial advisor gets paid? Money is a huge motivation for most people that hold jobs. There are generally three types of financial advisors in the US: percentage based, transaction based, and fee only. If you don’t you may want to find out, it may be costing you thousands of dollars a year. Percentage based means that the advisor works on maintaining, and hopefully growing, your wealth. They get paid by taking a cut of your overall wealth every year. The idea is that if you’re worth more they make more. If you’re worth less, they make less. This encourages them to grow your wealth because their commission is tied to your financial health. The issue here is that in an effort to increase your wealth, there may be a motivation to make moves that are more risky that you’re comfortable with. After all, if they lose some of your money they have other clients they earn commissions from. Where will you make up the difference? I’m using the term transaction based as a catch-all term that includes advisors that get paid as brokers (when you make transactions) and as advisors (suggesting funds to you). Basically, these people get paid when you buy something. It benefits them to encourage you to make many different transactions because the more you buy, the more they make. Let’s say that Mutual Fund A is a good fit for you, but only offers the transaction based advisor $100 worth of potential commission while Mutual Fund B is more risk than you want to take on, but offers the transaction based advisor $200 worth of potential commission. I’m sure that we can all see the temptation there. Fee-only advisors require a set amount of money for a specific action, say creating a wealth strategy, a debt management strategy, an investment portfolio, etc. Since the fee-only advisor is already getting paid for her knowledge, there is little -to-know motivation to suggest funds that will give them a commission but may not be right for you, encourage you to trade more than is necessary, or make risky trades on your behalf to try and increase your wealth. Finding out how your financial advisor gets paid may end up saving you thousands of dollars. It’s important that you have a solid relationship with your financial advisor. If you don’t know, ask. If you feel worried about asking… you may need to find a different financial advisor, but make sure she’s a fee-only advisor. In case you missed it, here’s the May Newsletter. So many good things are going on that I had to make a video! My second book on personal finance will be available soon, my new eBook “Guerrilla Financial Tactics’ has been downloaded almost 700 times, I’m giving they keynote at Become New’s Money & Emotion event, I’m speaking at Greater Mt. Olive’s Juneteenth event, and I’m looking forward to teaching Master Your Money: Increase Your Credit Score & Decrease Your Debt at Riverside Community College. View the May Newsletter here. This month I began writing for HBCU Digest. I’m really concerned with providing financial education to students at HBCUs. These colleges and universities graduate half of the Black professionals in the US. It makes no sense to prepare these students to get a good job and not educate them on how to handle the money they will be earning. Every month I’ll post financial education tips, musings from my work at HBCUs, and answers to questions from students at HBCUs. The first column is titled “Ignorance is Bliss”. 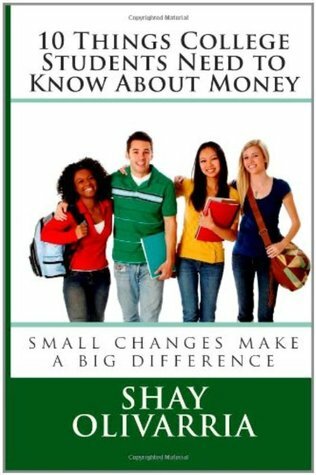 Shay Olivarria is teaching Master Your Money: Increase Your Crdit Score & Decrease Your Debt June 26th at Riverside Community College. I’m thrilled to be facilitating Master Your Money: Increase Your Credit Score & Decrease Your Debt at Riverside Community College. Course Description: This class will keep you laughing as we look at a tough subject. We’ll help you understand your debt management strategies and credit scores using Money Matters: The Get it Done in 1 Minute Workbook to create a specific plan to reduce debt and increase your credit score. You will create a debt management plan in class and leave with specific, measurable, attainable, realistic and timely action items to help you take control of your finances. Sign up for the class now!